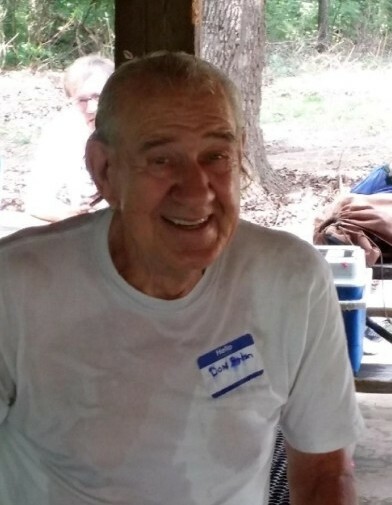 Donald Eldon Benton passed away peacefully on Tuesday morning October 9, 2018, at his home in Steelville, Mo. He was 80 years of age. Don was born August 22, 1938 in Rolla the son of the late James D."Bus" and Virginia D. Stewart Benton. On July 20th 1956 Don married the love of his life Patrcia D. Haines. at Dixon, Mo. Don and Patricia enjoyed 55 years together, before her passing on September 11, 2011. 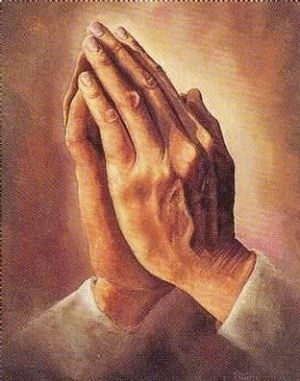 Don and Pat were blessed with 6 children: Douglas Benton (Joyce)of Leasburg, Tobey Benton (Cindy) of Cattaswissa, Mo., Gayle Rice (Bill) of South Dakota, Darlena Morris of Rogersville, Mo., Valerie Benton of Cuba and Kristal Harris (John) of Strafford, Mo. Brothers: Rhuel Benton (Nancy) of Edgar Springs and James Benton (Kathy) of Salem. Sister: Helen Haines (Delmar) of Rolla. Along with 13 grandchildren and 34 great-grandchildren. Don is preceded in death by his beloved wife Pat; Son-in-law: Bob Morris and two sisters: Mae Haines and Delorse Jordon. Don was a loving, very outgoing people person. He loved to talk to people and never met a stranger. The children told of a story about Don taking the family to the local dairy queen to get the kids an ice cream. The kids waited patiently in the un-airconditioned car waiting for Don to come back with the ice creams, after a long wait they discovered that Don was visiting with the customers and even letting people go in front of him so could visit longer. He loved to be around people. He loved to garden and was successful in starting the Steeville Community Garden, where he met many friends. He loved his animals and had several goats and rabbits. He was a board member of the Pleasant Hill Cemetery where he had many family members buried. Jeff Jones always said when he had a burial at the cemetery Don was always waiting on him to help him find the grave and of course have a visit. Don retired from Rockwood School District in St. Louis where he drove a school bus and was a custodian. Don was more than a Bus driver or someone to clean the building, he was a close friend to the administration, Don was well respected and was called on to help make decisions that impacted the development of the district. Don was a very well liked person and loved by all. Don Benton will lie in state at 1:00 p.m. October 11, 2018 at the Jones Funeral Home in St. James. Funeral Rites will be conducted at 3:00 p.m. October 11, 2018 at the Jones Funeral Home in St. James with Don Wissman officiating. Pallbearers will be Marlon Haines, Bobby Morris, Adam Kitchen, Cody Hendrix, Corey Hendrix, Kyle Hendrix and Jacob Benton. Don was quietly layed to rest next to his wife at the Pleasant Hill Cemetery in Steelville. All arrangements are under the direction of the Jones Funeral Home in St. James.